This creamy beige limestone tile has attractive shell content and interesting fossil figuring. A highly durable stone that can be used for both inside as well as outside situations. This Antique stone is low in porosity and can be use in domestic and high traffic commercial situations. 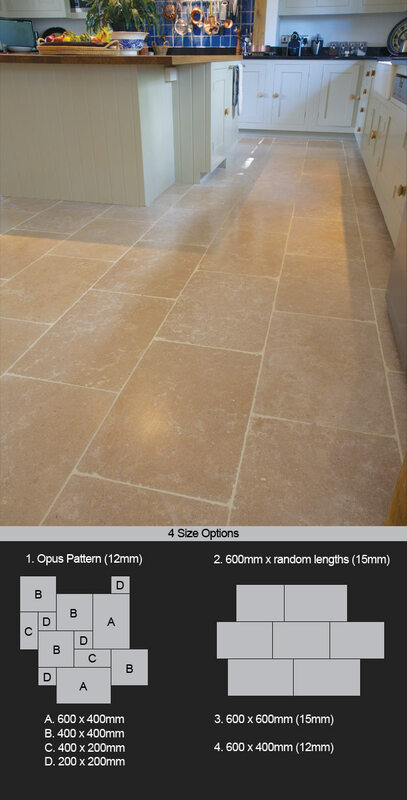 Photos shows soft edge, gauged width flooring with random stone lengths. * Shell and fossil figuring. * Creamy beige stone flooring. * Nicely antiqued stone flooring tiles. * 4 x flooring patterns. * Robust and low porosity stone. * All stone flooring is priced per m2.